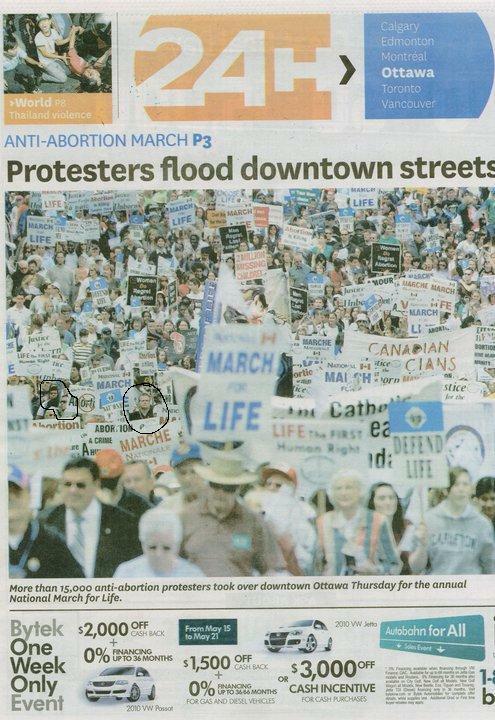 CBC's "few hundred anti-abortion protestors." 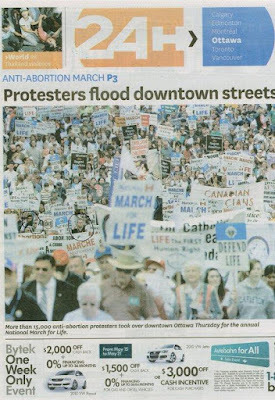 Actually... you, me, Reuben, Bryan, and Heidi are in the upper right corner near the black sign "Women do regret abortion"
Oh. Oops. I guess the guy I circled is my doppelganger.